I am a huge fan of dog parks. 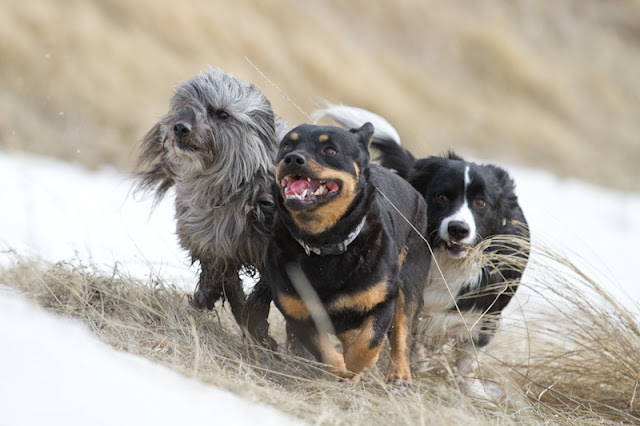 Not because of the interaction my dogs can have with other dogs, but because it gives them a chance to really stretch their legs and run at full speeds. We have a decent sized back yard, but it is too small for them to really get their motors going. I’m not sure what we would have done if we didn’t run our oldest dog (a border collie, golden retriever cross) off leash. 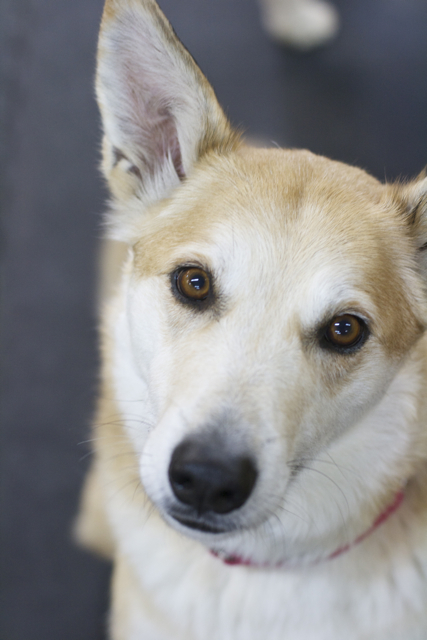 As a pup, she needed quite a bit of exercise (and still does) and leashed walks around the block just didn’t cut it. I know lots of people are afraid to let their dog off leash and usually their biggest concern is “What if they don’t come back when called?” My dogs do not come back to me EVERY single time I call them. And they never will. There will always be something in the world that is more exciting than me (hard to believe I know). But they come back most of the time and when they do, I make sure I have something to reward them. Their reward can be a ball or treat or just a pat on the head. How I reward them depends on the dog and the circumstances. 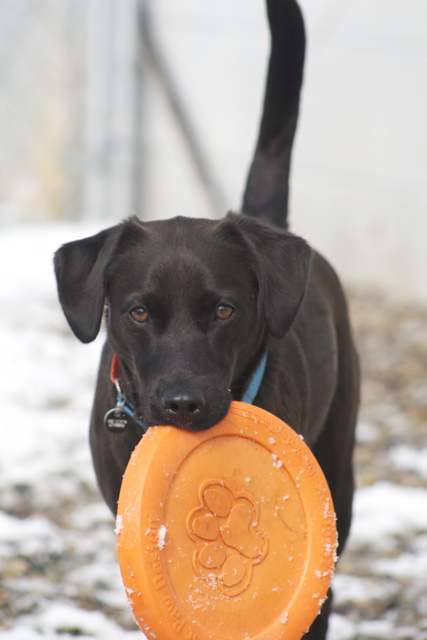 If there are other dogs and people around, I tend to reward with yummy treats, but if I just called them to get them to stop sniffing and catch up, I tend to reward with praise, pets and play. 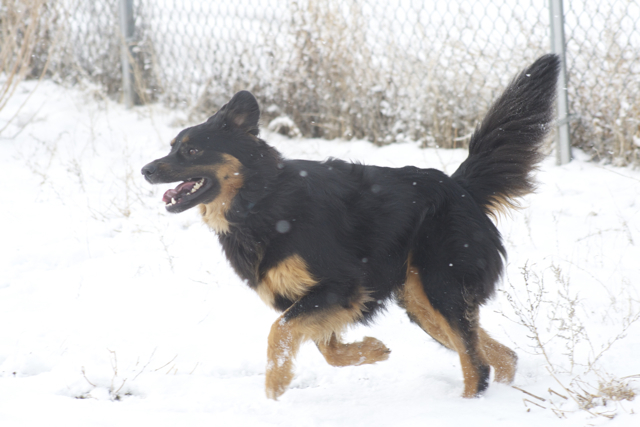 Lethbridge has three dog parks – Scenic Drive (near Martha’s Retreat on the southside), Peenaquim (near the shooting range and ball diamonds on the northside) and Popson (at the end of University Boulevard on the west side). This is my take on the three different parks…. Scenic Park – This tends to be the most popular park. It has great views and lots of wildflowers in the summer. There are lots of trails up and down the coulees. Your dog (and you!) will definitely get a good workout at this park due to all the hills you’ll end up climbing. This park is quite close to the road so if you are unsure how well your dog is going to listen, I would highly recommend leashing your dog before you get to your vehicle just in case. Also there is no access to water at this park so be sure to bring some water for you and your dog in the summer. Scenic did have some issues with coyotes there this past year. I’m not sure of all the details (hard to sort out rumour from fact), but be sure to keep your eyes out for wildlife. Peenaquim Park – This is the second busiest park. You park at the bottom of the hill so the entire dog park is down in the river valley (no need to hike up and down hills, although you can if you want). There is access to the River if your dog likes to swim and there is a big wide open space for your dog to stretch their legs. If you stick to the main loop you’ll be able to see your dog at all times as the area isn’t as big as either Scenic or Popson. The shooting range is near the park so if you have a sound sensitive dog, this may not be the ideal park as they will be able to hear gunshots. I would say Popson is the quietest of the dog parks. As with Peenaquim, you park in the river bottom so you’ll be walking on the flat. There is access to the river, wide open spaces to run and hills to climb if that is what you’d like to do. Popson is the only dog park in town that rattlesnakes are found in so be very cautious in the summer. I’ve seen a few over the years and every year I get more paranoid and tend to walk elsewhere during the heat of the day to avoid a potential conflict with a snake. 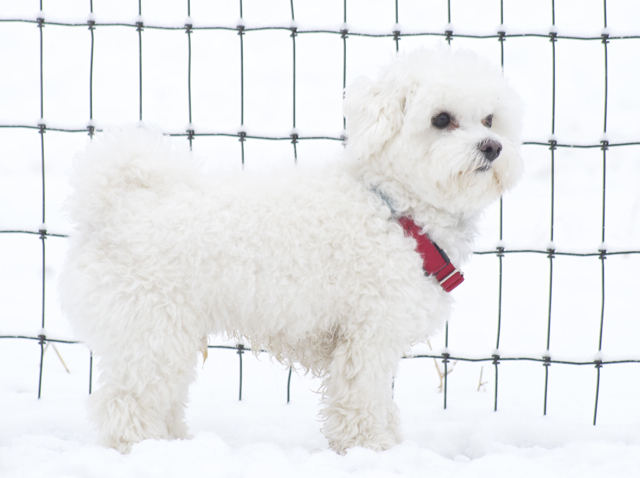 Generally, the dogs at the dog park are well socialized dogs, so if your dog ignores you yelling “Come!” to go visit with a dog, it isn’t the end of the world. That being said, there is ALWAYS a risk of a dog fight. 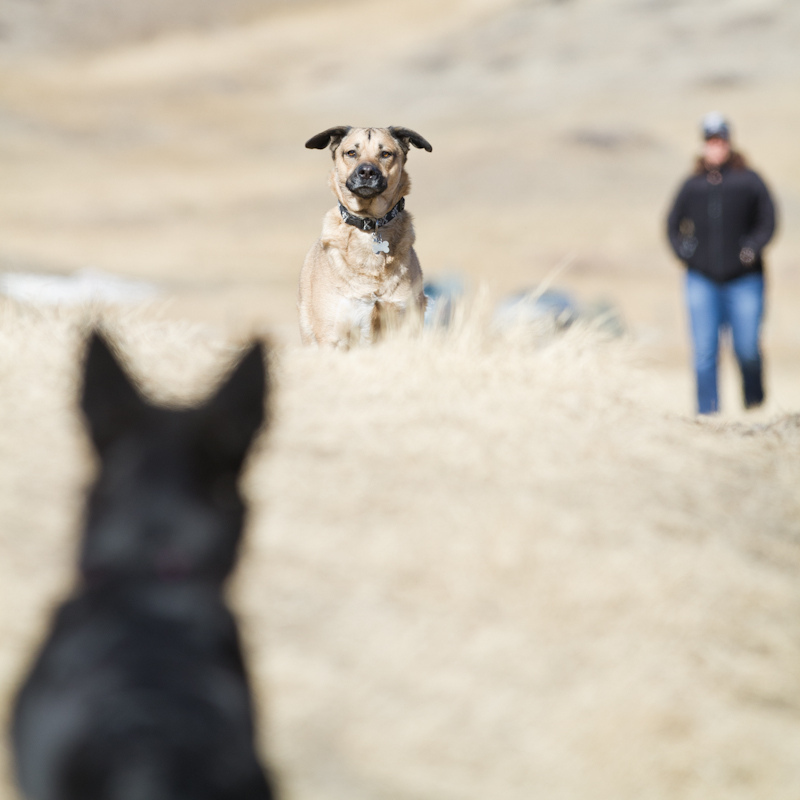 When I see a dog up ahead, I try and keep calling my girls back to me (and I reward them heavily for doing so) until we are close enough to the other dog that I know that I can get in the middle of things quickly if I need to. 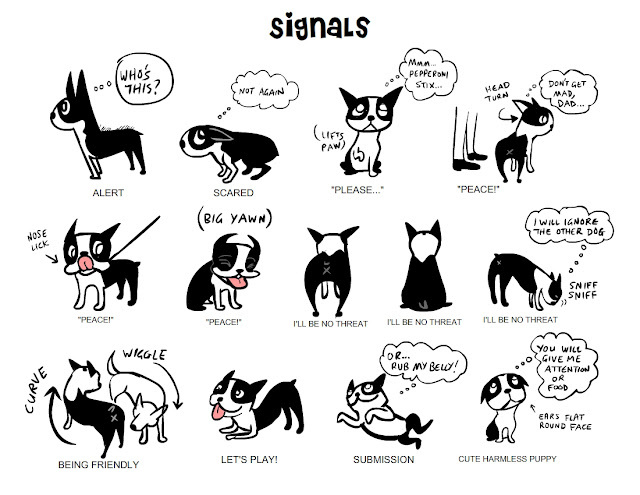 It would be a great idea to learn about dog body language too so you can know when you can relax and when you want to be on your toes. In the 6 years I’ve been going to the dog park, I have had very, very few issues. 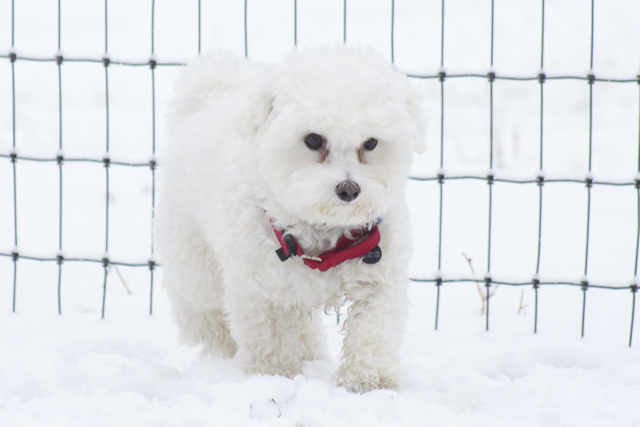 So how do you work up the courage to take your dog off leash? 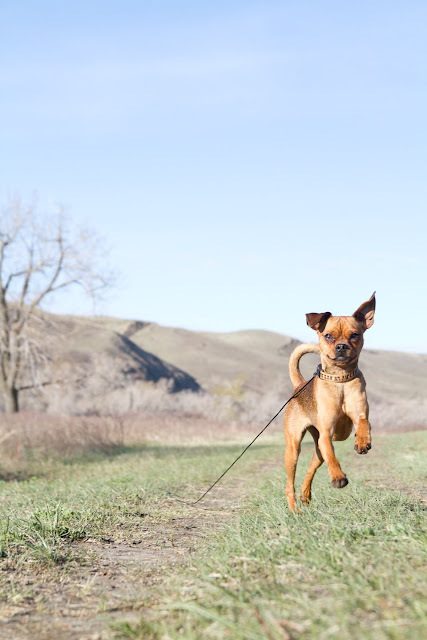 There are a few things you can do to make your first off leash walk a little less stressful. Go with other “experienced” people and their dogs. The dogs will generally stick together so when your friends’ dogs come running back, your dog will follow. Attach a long line to your dog. You don’t need to be holding on to the end of it, but they can drag it along behind them so you just need to get within 10 feet of your dog to “catch” them. 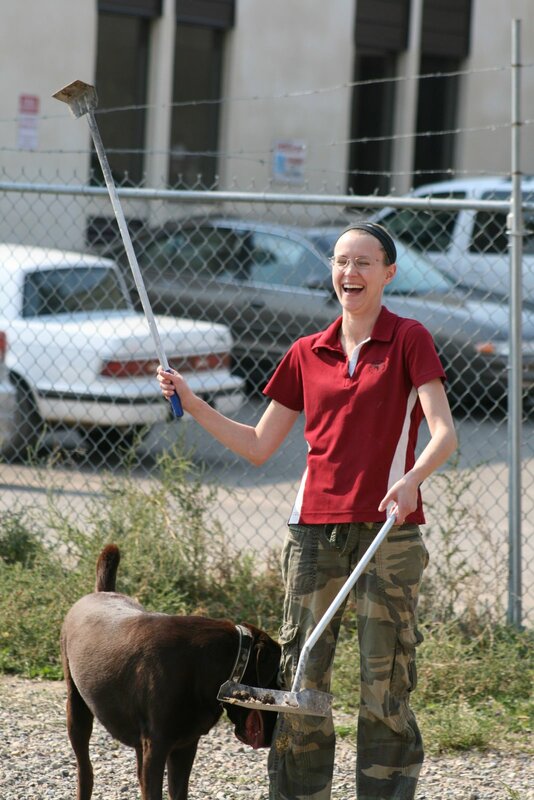 This works great for those dogs that tend to dart away from you at the last minute. Pick a day and time when the park won’t be very busy – during regular work hours, early in the morning or during horrible weather are usually the quietest times. Going out in bad weather isn’t as fun for me, but the dogs don’t mind and I don’t need to worry about encountering a lot of people or dogs. Lola is wearing a long line as a precaution. I just need to get within 30 feet of her in order to catch her. 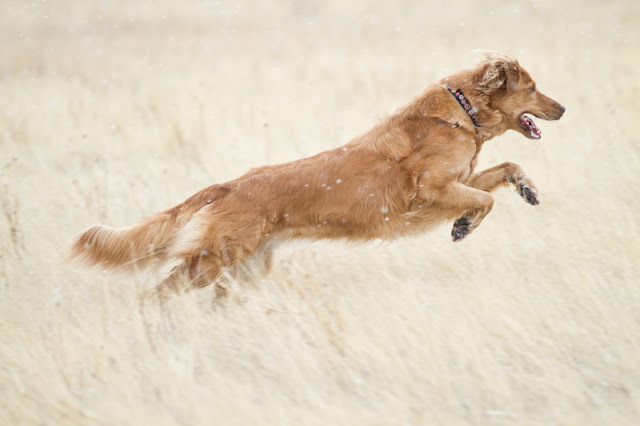 If you haven’t tried off leash walks but have a high energy dog, you will be amazed at the difference one can make and giving your dog lots of exercise can go a long way in helping behavior problems. I would say Popson is the quietest of the dog parks. As with Peenaquim, you park in the river bottom so you’ll be walking on the flat. There is access to the river, wide open spaces to run and hills to climb if that is what you’d like to do.Popson is the only dog park in town that rattlesnakes are found in so be very cautious in the summer. I’ve seen a few over the years and every year I get more paranoid and tend to walk elsewhere during the heat of the day to avoid a potential conflict with a snake. 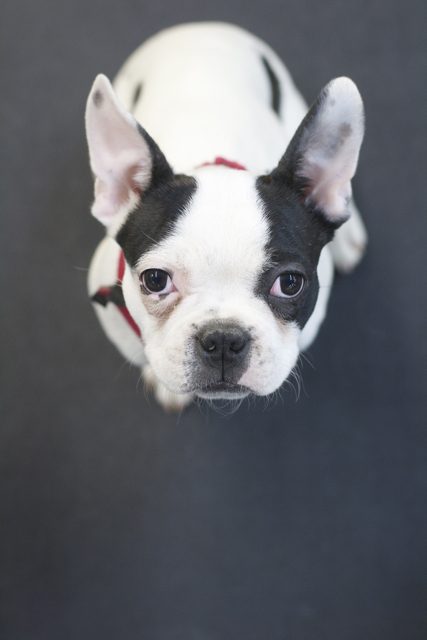 Look deep into Gus’ eyes and he’ll have you under his spell in no time! We are looking to hire someone part time for the summer! We can guarantee whoever gets the job will have fun, get dirty, get bruised, laugh a lot, have to pick up endless piles of poop and mop up vomit, get lots of doggy kisses, and have Chewy riding around on their shoulders to just name a few things. If you know of someone with experience with dogs, who also wants a part time summer job, please send them to our website and get them to apply! 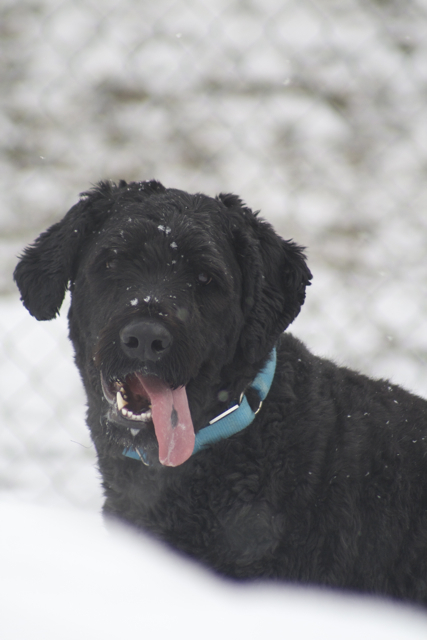 Sully was pretty hard to spot out in the snow last week. Good thing he was wearing the red and blue collar! The end of day is a busy time for us. One of us is busy cleaning while the other one is taking dogs out to their owners. 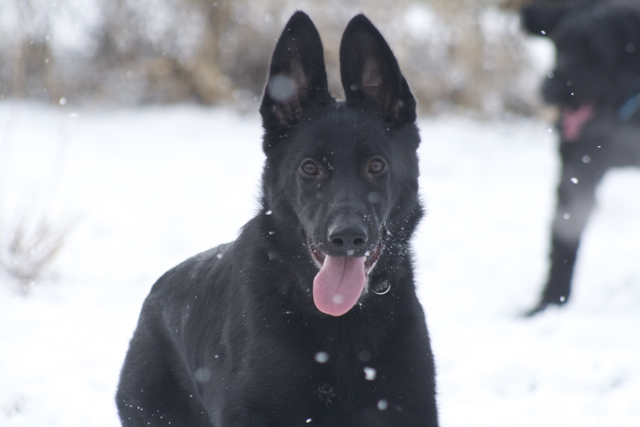 By the time we start cleaning the dogs have had a good play and are starting to settle down for the most part. Most of them find a quiet spot to curl up in and wait for their parents, others follow Jo around while she cleans and some give us “Pick me up and cuddle please” looks. They are tired and want to sleep, but they want to sleep on our laps or in our arms. Lemmy is a master of the look. Krank and Lemmy have mastered the look. Krank knows how to turn on the charm. We weren’t getting much done between snuggles and kisses with these two around! We were butter in their paws. 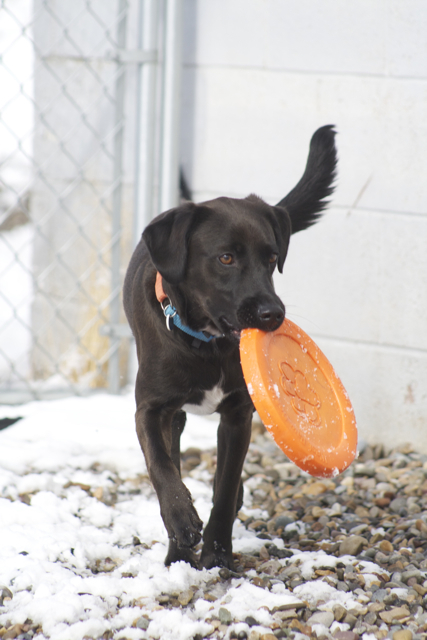 Juno is always up for a game of Frisbee! 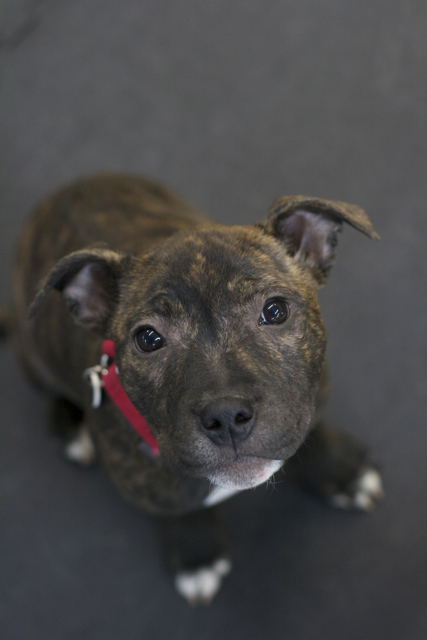 Well the weather may not be acting like it is Spring but all the puppies at work are reminding us that spring is here. 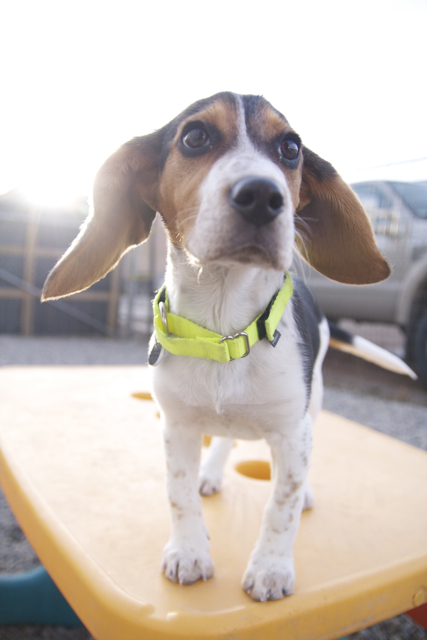 Darby is an adorable little beagle baby. 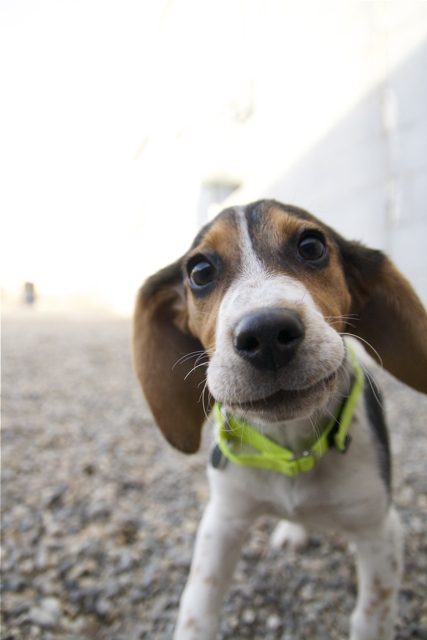 If you’ve been a long time follower of the blog, you’ll know that I’m a sucker for beagles. Just look at her! She just oozes cuteness. 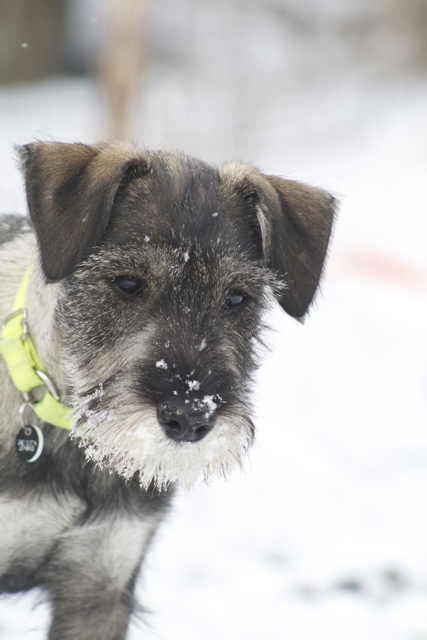 PS – These were taken last week back when we had wind, and not snow. 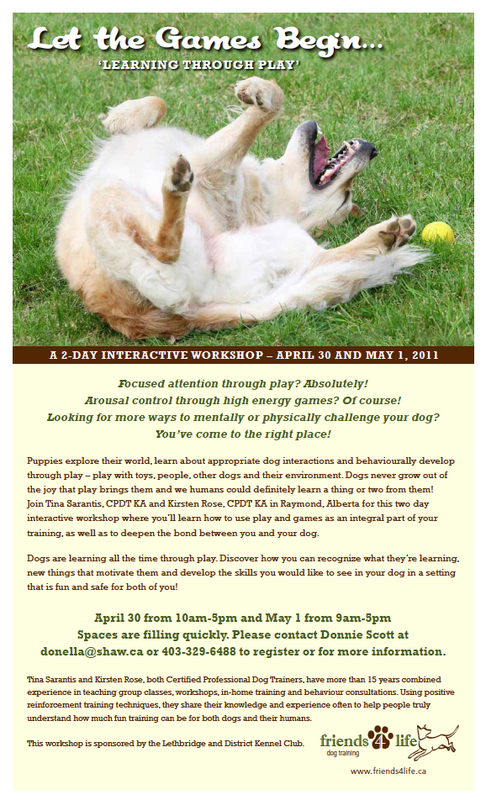 We thought some of you might be interested in an upcoming seminar on using play to help train your dog. 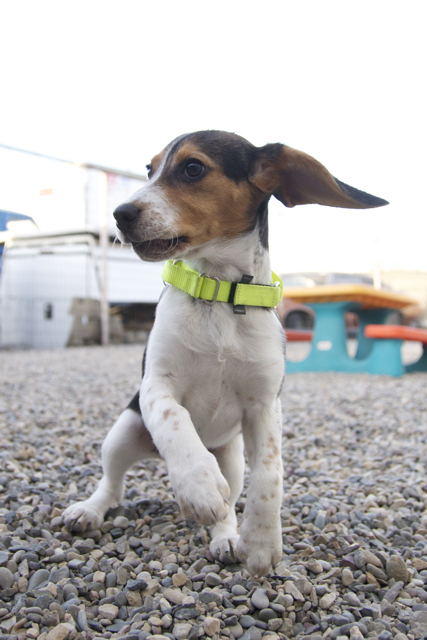 It hosted by the Lethbridge and District Kennel Club but is open to mixed breeds as well as purebreds. You can find more information on the poster below!